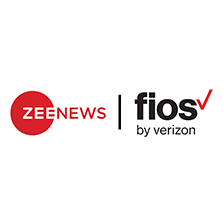 Verizon Fios and Zee Network today announced the launch of Zee News on Verizon Fios. Verizon Fios is one of the largest Pay TV operators in United States. It is also one of the biggest ISP, wireless carrier and was the first one to have FTTH in United States. Zee News will be available to all Hindi package subscribers of Verizon Fios TV. Zee News is one of the most popular Indian News channel in USA, it is also available on Dish Network, Sling TV and Yupp TV. As per the viewer's choice poll DNA program of Zee News is considered as the most credible news show. In terms of news gathering, Zee News has one of the largest networks of news bureaus and correspondents with a pan India presence. The company is equipped with updated technology in content creation, packaging and broadcasting.